What is your best pick up of 2018? Very nice 👍 All three look very nicely centered! Not a pick up, but a PSA-reviewed item that I just got back. Best non-card pickup was this future Habs fan. 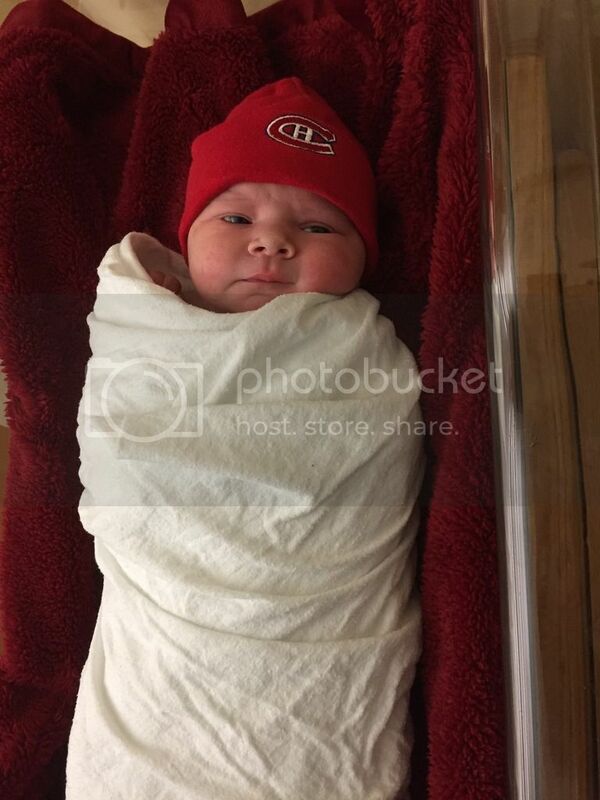 Audrey already has several pieces of memorabilia including game pucks from the Habs game the night she was born and a Carey Price personalized signed picture. Start em young.